See all homes currently listed for sale in the Denver MLS in the Bible Park Denver Neighborhood: http://tinyurl.com/kxn8zzh or scroll down below. The Bible Park Denver Neighborhood is about 20 minutes from Downtown Denver and about 10 minutes from most of the Denver Tech Center. While Bible Park is not the official Denver Neighborhood name, it is the most recognized descriptor of the official Hampden Denver Neighborhood on the south side of James A. Bible Park, Goldsmith Denver Neighborhood on the north side of James A. Bible Park, Holly Hills Denver Neighborhood and the Denver subdivision Hutchinson Hills. 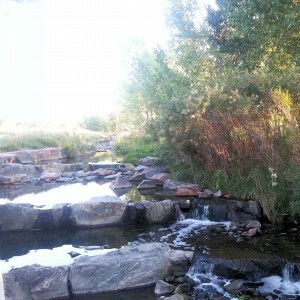 The Bible Park Denver Neighborhood is a walker’s, biker’s, & park lover’s dream. 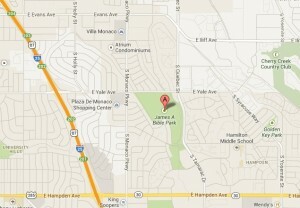 James A. Bible Park is a 70+ acre Park in the southeast Denver neighborhood. It is surrounded on 3 sides by the High Line Canal. Goldsmith Gulch passes through the center of the park and is lined by natural vegetation. There are lighted tennis courts on the east side of the park. Baseball fields with bathrooms and the parking lot are on the north side of the park. 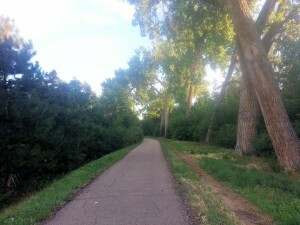 The Goldsmith Gulch & Trail along with the High Line Canal pass through the Bible Park Denver Neighborhood north of E Yale Ave. And the Cherry Creek Trail to downtown Denver passes less than a mile to the north of the Bible Park Denver Neighborhood. The Bible Park Denver Neighborhood is very walkable. Much of the Bible Park Denver Neighborhood is less than a mile away from RTD Lightrail stations at I-25 & E Yale Ave and the Southmoor stations south of E Hampden Ave and I-25. There are major RTD bus lines along E Yale Ave & E Hampden Ave providing easy access to RTD Lightrail stations. Local amenities around the Bible Park Denver Neighborhood include shopping and restaurants at Tamarac Square & Tiffany Plaza. There is a fairly new mixed use apartments and shopping compex close to the Continental Movie Theater at Hampden & I-25. In addition to the plentiful amenities along Hampden there is a new mixed use development on the north west side of Locust & Hampden. You can connect with Bible Park Denver Neighborhood neighbors at BiblePark.org, or in the Facebook Group at https://www.facebook.com/groups/380028605455898/ . Use this resource page to further evaluate the Bible Park Denver Neighborhood: http://denverhomesales.info/neighborhood-evaluation/ . 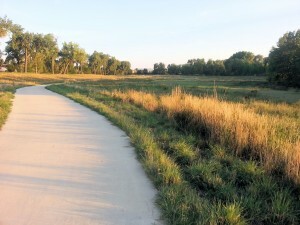 See all homes for sale in the Bible Park Denver Neighborhood: http://tinyurl.com/kxn8zzh below. Wonderful Unit with West facing balcony that overlooks green space. 2 bedrooms and 1 bathroom unit on 2nd floor of building. Balcony overlooks grass area that is accessible from living room and bedroom. Nice complex with pool area.